Counsellor, psychotherapist, supervisor & teacher. Valerie has considerable experience as a counsellor, psychotherapist, art psychotherapist and supervisor. Since 1985 she has established a private practice in Tunbridge Wells. Her awareness and insight enable Valerie to work with a wide range of presenting difficulties. She gained vital knowledge in trauma work with survivors of the Herald of Free Enterprise ferry disaster. Valerie also worked with children in a private child-care organisation and with adults in St. Augustine psychiatric hospital art therapy unit. Both settings held clients with complex issues. These areas of work, and both her clients and supervisees over the years provide her with invaluable knowledge, which informs her current practice. 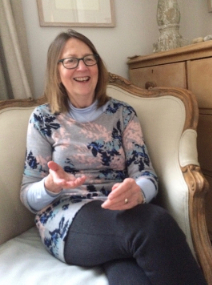 From 1995-2007 she worked as a lecturer for an accredited counselling course and since 1992 has been teaching and supervising Transactional Analysis psychotherapy to BACP and UKCP requirements. Valerie has developed extensive skills in designing and implementing training courses and personal development programmes, and presented numerous workshops at national and international conferences. She has published articles in national journals and co-edited a book about psychotherapy. Valerie provides counselling and psychotherapy for individuals and couples at sensible rates. She is recognised for her skills, creativity, warmth, and trustworthiness and her commitment to sound, professional practice. © 2019 Therapy Supervision. All Rights Reserved.